A month after it was announced that Roxy Music would be inducted into the Rock and Roll Hall of Fame this year, Bryan Ferry has announced plans to take his former group's classic Avalon LP on tour. 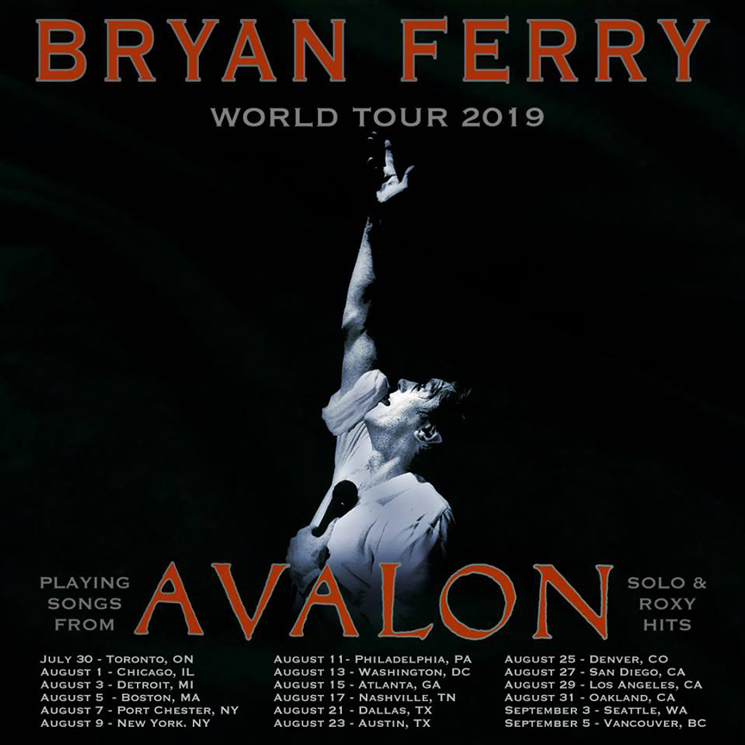 A newly added North American leg of Ferry's world tour will find him performing songs from Roxy Music's 1982 full-length, in addition to other group and solo hits. Last year, Ferry delivered his solo effort Bitter-Sweet. Ferry will begin the North American run in Toronto, playing the city's Sony Centre on July 30. His only other Canadian date will close the tour, set for Vancouver's Queen Elizabeth Theatre on September 5. Tickets for all dates go on sale Friday (January 18) at 10 a.m. local time. Find a complete itinerary below.